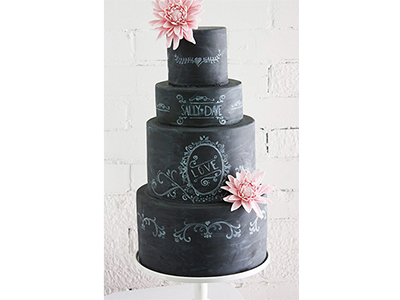 The chalkboard trend is one that you either love or hate. And I've got to say, I love it. The beautifully dark, old-fashioned, vintage-rustic look combined with the hand-drawn details make me want to hand-write a letter to my grandparents. 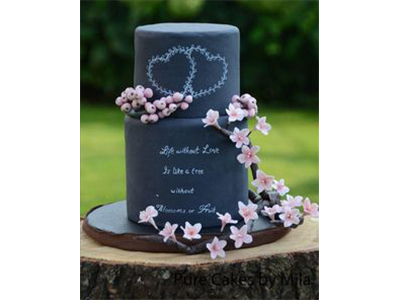 They might look moody to some, with all the black and white for a wedding celebration. 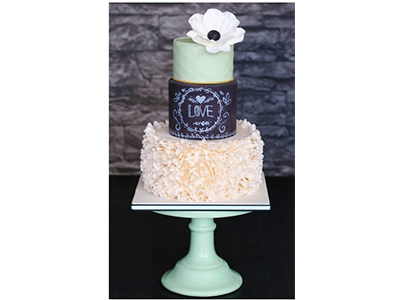 However, combined with flowers, colored fondant, lace, burlap, ribbon, and other decor, the cake becomes eclectic and one your guests will never forget.